We are the only platform dedicated to online education and professional development that focuses not on beginners and theory only, but on teaching intermediates to experts. We are the world’s largest project learning platform and have the most extensive project library in eight (8) future technological fields of Artificial Intelligence, Cybersecurity, Game Development, Data Science, Cryptocurrencies, Programming, Design, and Augmented and Virtual Reality. You can read more here. We have eight (8) dedicated project managers for each topic that monitors and oversees project creation from acquisition to completion. This ensures that content provided is of the highest quality. We have e-learning experts that help us to design projects/curriculum, allowing us to provide the highest possible value to subscribers. Subscribers are the backbone of the content creation process as projects created are based on your suggestions. The projects that we offer are exclusive to our platform. LiveEdu Project Creators create content especially for LiveEdu subscribers, and this content is not available anywhere else. You can read more here. Rewards! Not only are you offered content that is original and based on your direct input, but you are also rewarded for learning. Activities that you perform on LiveEdu come with rewards for participation. You can read more here. There are special Q&A chat sessions. These sessions are a dedicated stream where all your questions can be asked and answered by the Project Creator of the project you are following. This allows Subscribers to become clear on issues that may not have been understood and Project Creators will find out where they need to improve their content delivery. You can read more here. Premium projects are only available to viewers that have subscribed. Our Project Management team does extensive content quality checks to ensure that content provided on our platform is top notch with the monitoring and rating of projects. 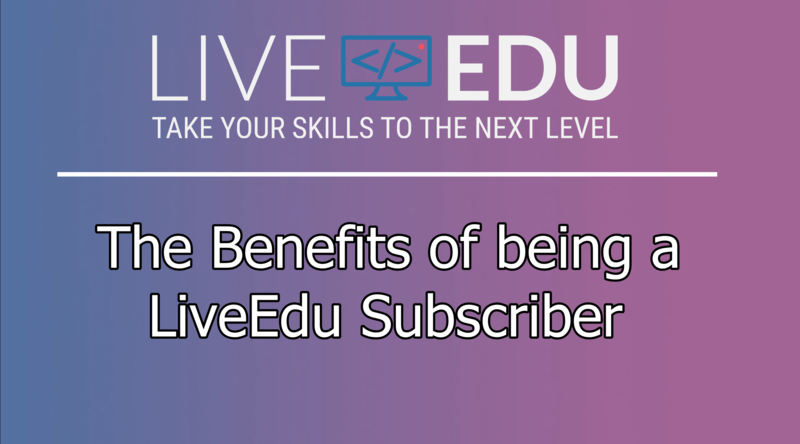 At LiveEdu we care about quality, and community and these are our guarantees to each of our subscribers. We will continue to transform the professional development sphere and improve how the world sharpens their skills via the world’s largest project learning platform on the blockchain.